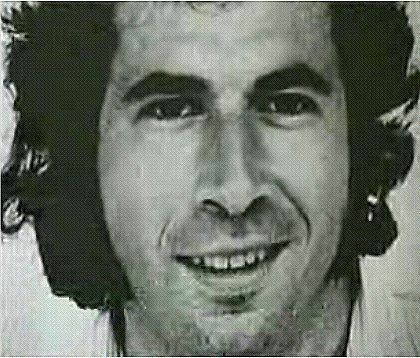 David Mark Berger (May 24, 1944 – September 6, 1972) was an Israeli Olympic weightlifter, and one of the eleven Israeli Olympians taken hostage and killed by the Palestinian group Black September during the Munich massacre at the 1972 Summer Olympics. Born and raised in the United States, Berger was a lawyer by education and had emigrated to Israel after taking part in the 1969 Maccabiah Games. After winning a gold medal in the middleweight weight-lifting contest in the 1969 Maccabiah Games, Berger emigrated to Israel, intending to open a law office in Tel Aviv after completing his compulsory military service. Continuing his weightlifting competitions, he won a silver medal at the 1971 Asian Weightlifting Championships, and achieved a long time dream when he was chosen to represent Israel on the 1972 Israeli Olympic team. In late August of that year, Berger flew to Munich with his teammates. On September 2, 1972, Berger competed, but was eliminated in an early round. He died in the Munich massacre four days later when Palestinian terrorists invaded the Olympic village and held the Israeli team hostage. Early on the morning of September 5, 1972, Palestinian terrorists took Berger and his five roommates hostage, after having earlier seized six officials in another apartment and wounding wrestling coach Moshe Weinberg in the face. While the athletes were being moved to the first apartment, Weinberg grappled with the intruders, allowing flyweight wrestler Gad Tsobari to escape but resulting in Weinberg’s death by gunfire. As the remaining hostages and terrorists entered the officials’ apartment, weightlifter Yossef Romano also attempted to overpower the intruders. Romano was cut nearly in half by automatic fire (his corpse was left all day at the feet of the hostages, who were tied to beds), and Berger was shot in his left shoulder, a wound seen by German officials later in the day. It is believed that Berger, being physically one of the largest of the hostages, was also beaten in order to intimidate the other hostages. After all-day negotiations, the terrorists and their tied-up hostages were transferred from the Olympic Village via helicopter to Fürstenfeldbruck airbase outside of Munich, where the terrorists believed they would be flown to a friendly Arab nation. Instead, the German border guards and Munich police attempted to ambush the terrorists and free the hostages. After a two-hour gunfight, one of the terrorists turned on the helicopter in which Berger was sitting and sprayed it with machine-gun fire. The other three hostages in the helicopter were killed instantly, but somehow Berger only received two non-lethal wounds in his legs. However, the terrorist then detonated a hand grenade inside the helicopter, causing a huge explosion and fire. An autopsy found that Berger had died of smoke inhalation. The five hostages in the other helicopter were all shot to death by another terrorist. While the 10 other Israeli Olympians were flown to and buried in Israel, David Berger’s body was returned to the United States on an Air Force jet personally ordered by President Richard Nixon. Berger is buried at Mayfield Cemetery in his hometown of Cleveland. David Berger National Memorial in Beachwood, Ohio, honors the memory of Berger and his fallen teammates. In 2002, New Orleans renamed "Avenger Field," located in Audubon Park, "David Berger - Avenger Field" in memory of Berger and the other victims of terrorism." Berger, along with the other ten members of the 1972 Israeli Olympic team killed in Munich, was inducted into the Philadelphia Jewish Sports Hall of Fame. The Shaker Heights High School weight room is named after Berger. The David Berger Memorial Weightlifting Tournament is held every year at the Lost Battalion Hall in Rego Park, Queens, NY. David Berger AZA #1823 is a BBYO chapter in Cleveland, Ohio, named in honor of him. David Berger AZA #2059 is a BBYO chapter named for him in Dallas, Texas. David Berger is also the name of a street in Ashkelon, Israel.